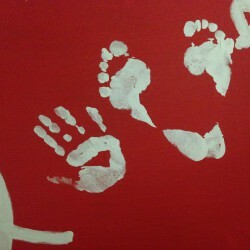 I just made this account to comment on other blogs. I'm not committed to signing up to another review site (as tempting as it is). BLUF: Good for its target age, not so good if you’re any older. I re-read this as a part of the 2015 Popsugar Challenge as a book from my childhood. 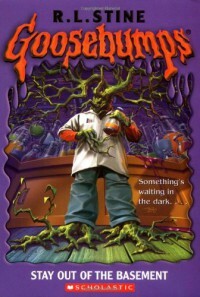 I loved Goosebumps as a kid. They scared me, entertained me, and I read all the ones I could. I was pretty excited to revisit this one as it’s the most familiar Goosebumps from my childhood. Stay Out of the Basement is about a family who’s breadwinner recently lost his job at the laboratory. Dr. Brewer continues his work at home in the family’s basement. His work has turned into an obsession and he rarely surfaces from the basement except to sleep. When the mother needs to take a trip due to a family emergency, the kids are left at home to care for themselves. Curiosity gets the best of the kids and, when dad’s out, they sneak in to figure out what exactly he is doing down there. Curiosity soon turns into fear as the kids struggle to deal with their dad, his changes, and his work. I don’t know if I simply cannot put myself in a mindset to appreciate children’s books or if I don’t enjoy the writing, but re-reading this book was very unsatisfying. The story was light and quick, but it was also choppy and predictable.